The good news for those that suffer from incontinence is that there are protective products for everyone. 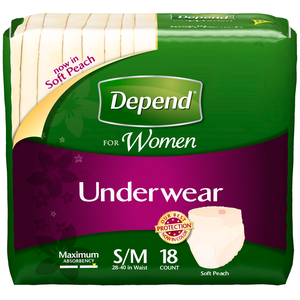 Depends products are now more thin, reliable, and comfortable than ever before. 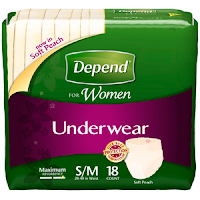 Depends can help you with chronic and regular incontinence issues. The most important part about determining the product that you need is finding the best absorbency protection for your protective underwear. Extra coverage doesn’t guarantee more protection. The highest absorption factor will guard against leaks. Skin irritation can cause bedsores if a person is bedridden or wheelchair bound for a long period of time. A person should be changed frequently throughout the day. However, at a long-term care facility that is short staffed, this is not always possible. Hospitals must make sure that their patients have a certain amount of consistency in their daily changing schedule. How can you choose which type of Depends underwear will work best? You should start by using a sample kit. This allows you to try out many different styles and absorbency needs. It helps to track your level of urine loss each day to know how much absorbency you will need. Consider trying out pads as well as incontinence underwear so you can see which feels comfortable. The Depends brand is not bulky when you wear it, making it quite discrete. Depends for women are made differently from men in order to provide the proper level of protection. You need to make sure that you are buying the right brand for your gender in order to have the correct level of protection for your body. Always cleanse the skin to prevent a rash along with skin irritation. If you are not caring for the skin correctly it may lead to more than irritation as it can cause a urinary tract infection. A urinary tract infection can be quite painful to deal with. Getting your Depends protective underwear is quite simple. Some Depends retailers even have sample kits available. These sample kits can help a person determine whether or not Depends underwear is appropriate for them. Sometimes, diapers or pads may be a better option depending upon a person’s needs. A sample kit can help you to identify what type of product you might like. Some people like the pull-ups where others prefer the pads. Many prefer the underwear as it feels just like the underwear they are used to wearing on a daily basis. The Depends underwear is quite discrete, making it easy to hide your incontinence problem from anyone. When you feel protected, you are less likely to feel self-conscious all the time about leakage concerns with your condition. Incontinence is a condition that many people do not want to talk about. Every incontinence product you use needs to be comfortable. If the adult diaper is too tight on the skin it can cause skin irritation. Try different sizes if the adult diapers are too tight around the legs. If they are too loose, they can cause leaking. Adult diapers are meant to be comfortable. Since they will be a regular part of your everyday life, it helps to search for the products that do not cause skin irritation. Depends protective underwear are the closest thing in existence to real underwear. 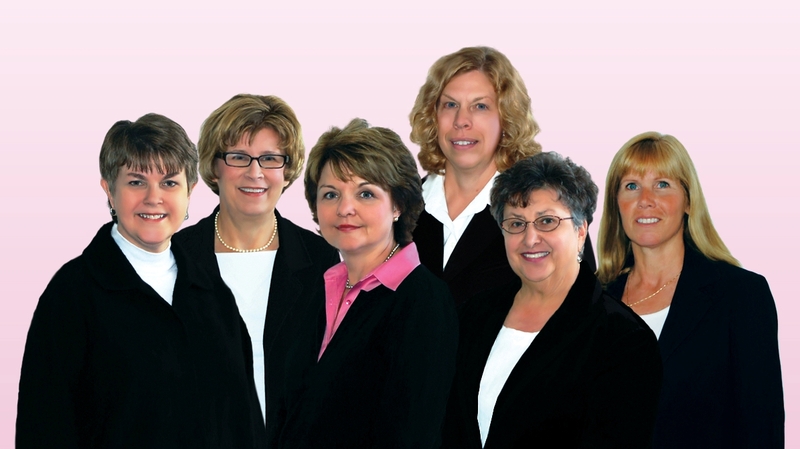 They are light, thin, flamboyant, and can make it seem like you do not have an incontinence problem. They can also help you be active in a fairly normal manner. People who use Depends protective underwear are very active in their daily life and play many sports and partake in a wide array of activities. Being active is very important and can help you get back in shape. Doing exercises every day is often part of getting back into shape after a medical condition. Having protective underwear can help.